Upstream + Downstream: Make the transition. More and more companies today are dipping their toes into coworking as part of their workplace strategies. For some companies it might be an isolated team working in an offsite coworking space, while for others it might be multiple teams or the whole company. 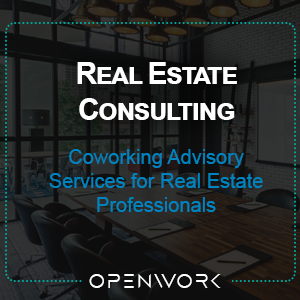 OpenWork’s corporate coworking program is the first upstream-to-downstream program designed to help companies determine if coworking is an appropriate part of their workplace strategy, and if so which staff should participate and how such a program can enhance overall company culture. Coworking can help with employee engagement and productivity and can be leveraged to amplify company culture.